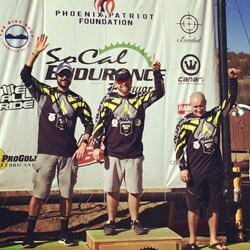 The newly formed Better Buzz Race Team dominated the downhill last Sunday, Nov. 11th and claimed a righteous victory over the entire podium in the intense pro men division of the SoCal Enduro race. Thanks to Team Better Buzz’s amazing sponsors and an unstoppable group of top-notch racers, Team Better Buzz was able to return home with not just the Top spot but 1st, 2nd and 3rd overall sweeping the podium. The power packed Enduro Race crew now known as Team Better Buzz boasts of riders such as the owner Tim Langdon, a former factory Kawasaki Pro Motocross Rider, Chris Powell, a former Factory Specialized racer and top 3 world rider and experienced XC and enduro racer Chris Beardsley, known for his intense drive and perseverance. Team Better Buzz has been a dream turned into a reality for Better Buzz Coffee owner Tim Langdon. Although he has been running a successful, family owned coffee company in San Diego with his wife for several years now, he was not always a man in suit and tie. Tim Langdon started off his career as a gung-ho motocross rider who traveled around America annihilating his competitors in Pro Motocross Racing. Although he was forced to retire early due to injury, he is now back in action leading the way in both the coffee and Enduro race fields. Langdon’s impressive time of 14:49 marked the Enduro scene as evidence that he has in-deed returned. In addition to Langdon, the rest of Team Better Buzz are no strangers to the bike racing scene. Chris Beardsley, who owns the successful business Club Pilates with his wife, has an extensive background in the bike racing industry. 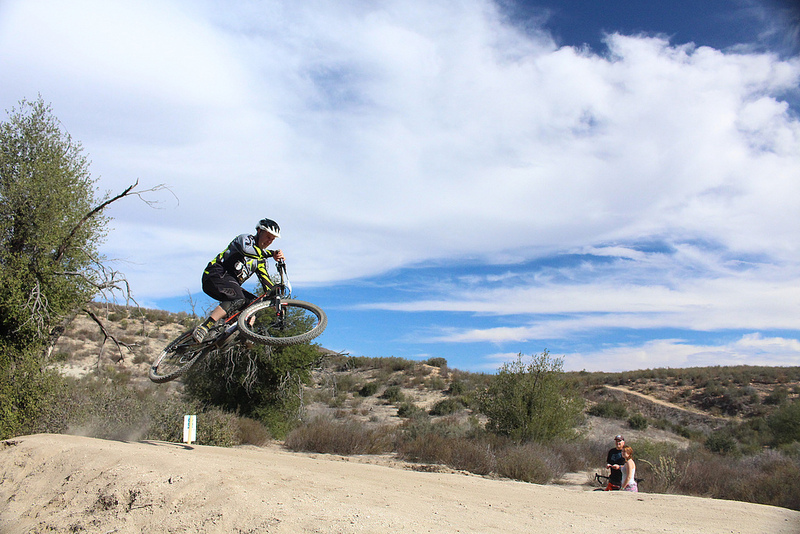 He also hopped on board Team Better Buzz to be apart of the thrilling Enduro Race crew and further pursue his passion for treading the rugged terrain. His time of 15:00 landed him in second as well as former world cup 4cross rider Chris Powell clenching third with the time of 15:03. Although the racers ultimately did the legwork enabling them to capture the victory last Sunday, Team Better Buzz would have little to show if it weren’t for all of their reputable sponsors. The amazing sponsor and founder of the race team Better Buzz Coffee is making its way into the Enduro Race scene in a big way with this group of determined riders. Bike Bling who provides bike enthusiast across America with outstanding bikes, gear and more has been a big player in the immediate success of Team Better Buzz as well as Alias MX, who outfitted the entire team with top of the line Enduro race gear ensuring that each member could perform at his max capacity. As an addition to those three, Skratch Labs who produce real all natural foods and other wholesome products and Scorpion Bike Stands can be added to their sponsor list. As if five sponsors wasn’t enough to create the working for an exceptional race team, Club Pilates and have staked their claim as some of Team Better Buzz’s biggest sponsors and support systems.